Faust, an aging scholar, has devoted his life to studying. As he reflects on his life, he feels that nothing has come of his devotion. He contemplates suicide and, as he is about to do so, he curses God and asks the devil to appear. Mephistopheles, the devil, appears and tempts Faust with an image of a lovely young woman, Marguerite, and Faust makes a deal with the devil. The deal will make Faust young again, as the devil will give Faust life on earth and, in return, Faust must spend eternity with Mephistopheles in Hell. Faust lusts after Marguerite and eventually wins her over. His thirst for youth has left him with little care of the consequences others will face. 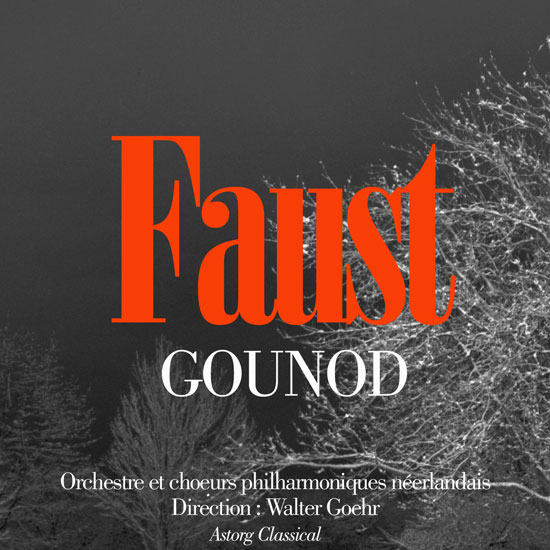 Marguerite becomes pregnant, causing her brother, Valentin, to challenge Faust to a duel. Faust, with Mephistopheles’ help, ends up killing Valentin. Marguerite later kills her child and is imprisoned. Faust is let into the prison by Mephistopheles and the two men tell Marguerite they will get her out. Marguerite, however, tells them she would prefer her fate to be in the hands of God. Her faith eventually saves her and she ascends to heaven. With all its controversial moments, Faust, is one of the most loved, and most upsetting operas. With the struggle between religion, moral value, and sin, its story is intensely theatrical. While many versions of the story have made appearances on stage, Gounod’s music best captures all the different colors, emotions, and points of view shared in this miraculous story.